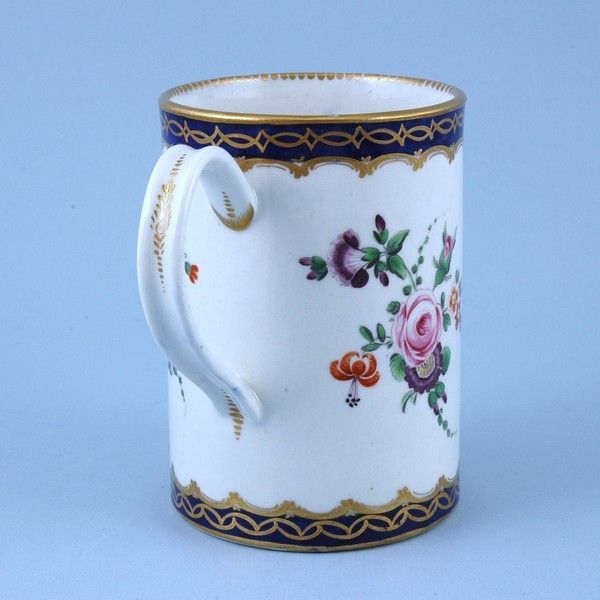 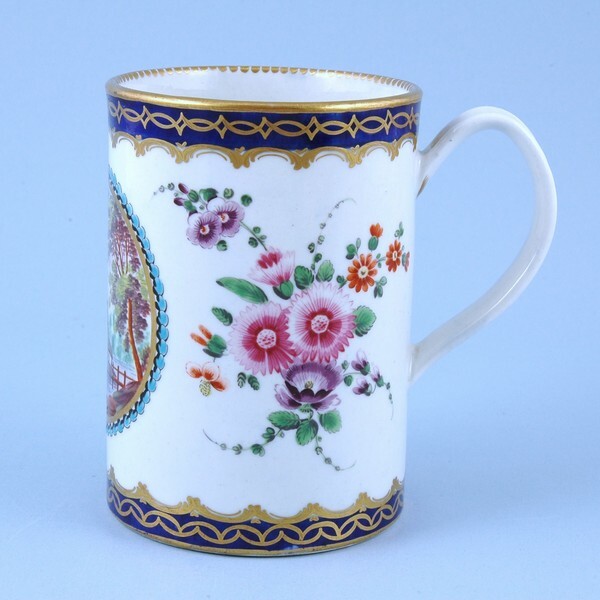 Worcester Porcelain Dalhousie Pattern Mug. 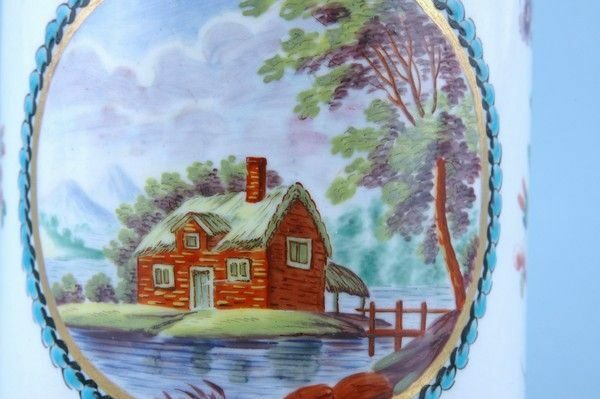 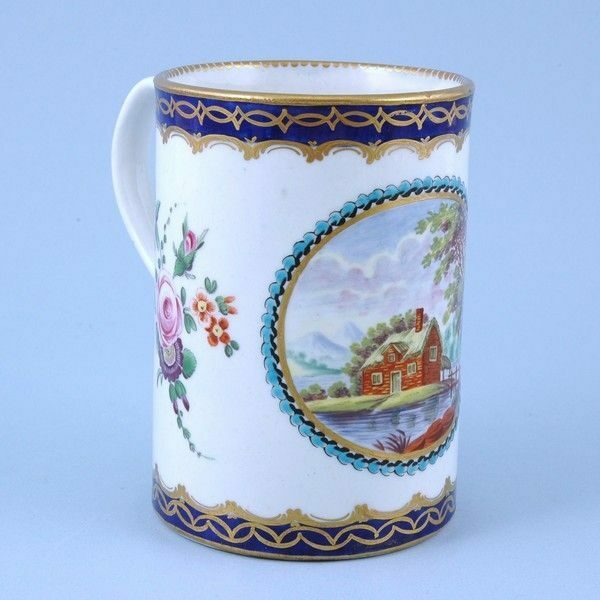 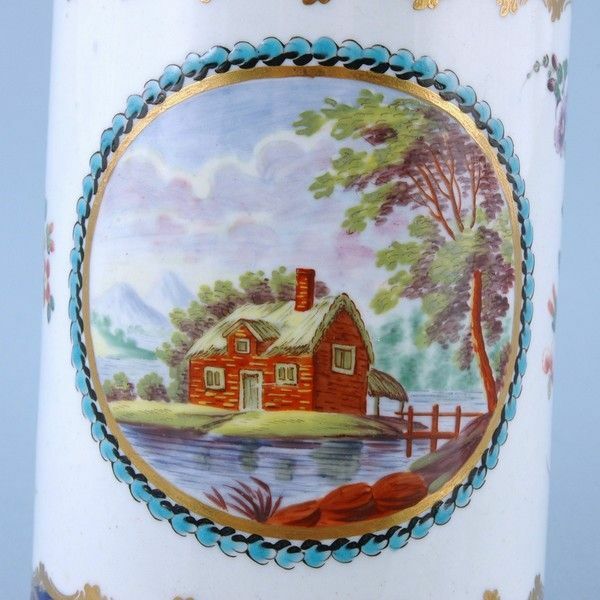 18th century Worcester porcelain small straight sided mug, decorated with the ‘Dalhousie’ pattern, a circular hand painted panel of a country scene with a cottage, with underglaze blue border and polychrome floral sprays. 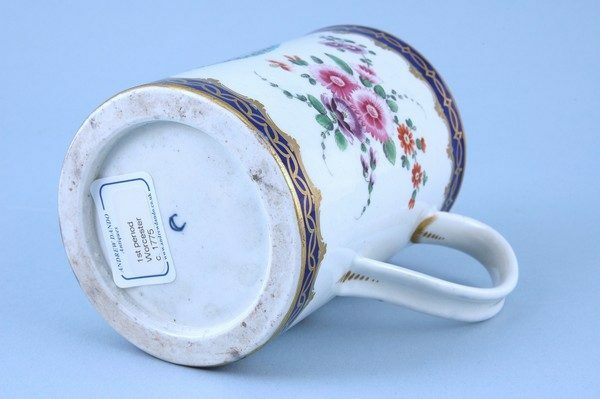 Condition: Good overall condition with just some minor surface wear from use & a tiny flake of gold from the rim. 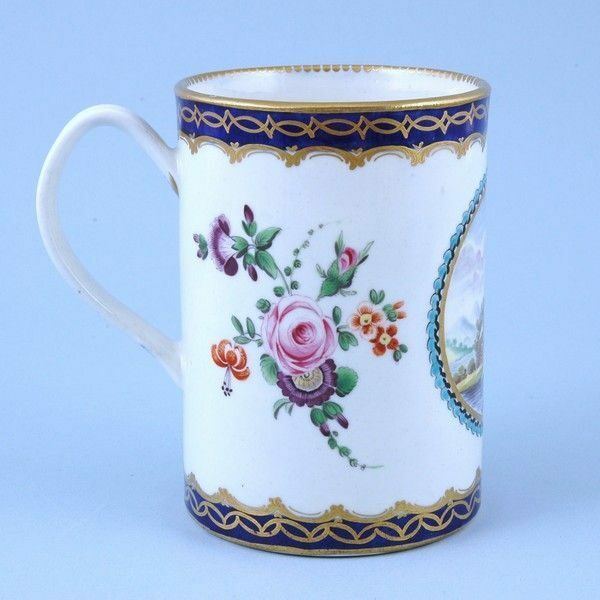 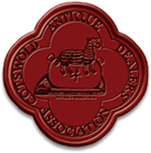 There is an original firing fault to the rim, under the gilding but visible in the photographs.